Are you looking for an eco-friendly window option for your home? According to home improvement experts, you should consider getting vinyl-framed replacement windows. What makes them more eco-friendly than other window alternatives? Read on to find out. One of the best things about vinyl windows is that they are virtually immune to moisture damage. Wood-framed windows can rot while metal windows can rust. A vinyl window’s frames will not suffer either kind of issue, so it requires less maintenance and even lesser use of cleaning agents that could end up polluting the soil. Aside from requiring very little maintenance, vinyl windows are known for having excellent thermal resistance. This means vinyl double-hung windows can prevent outside factors from having a significant effect on indoor temperatures. Your HVAC will have an easier time regulating the room, resulting in lower energy consumption and a lower carbon footprint for your household. 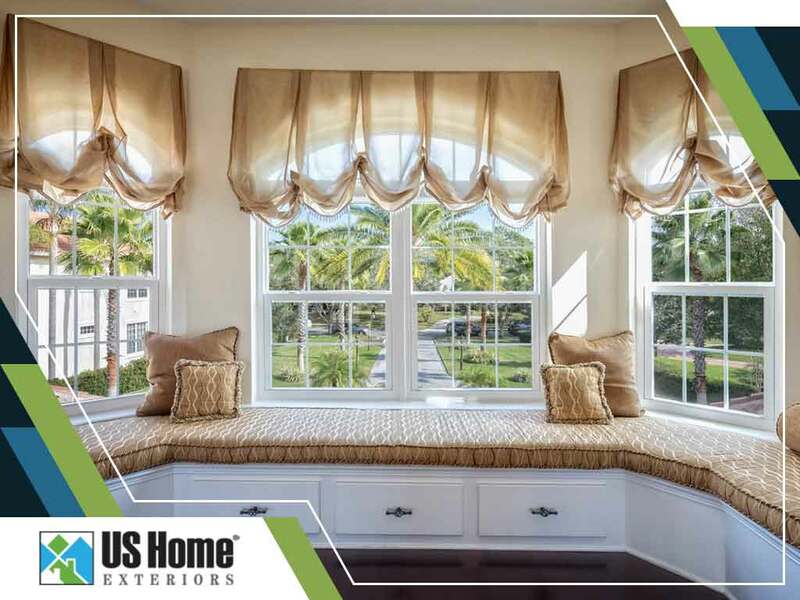 Unlike wood frame windows that are too deteriorated to be reused, the vinyl frame in your new windows can be broken down, treated and used as new material at the end of its life span. This means installing vinyl windows in your home can help reduce the total amount of waste that ends up in landfills. High-quality vinyl windows offer better efficiency. They’re more durable and are more likely to be made of recycled materials. If you want to make sure you’re getting the most eco-friendly options, get your replacement windows from the best in the area. Our vinyl windows are built with the highest attention to detail and quality, ensuring minimal impact to the environment while providing great value to our clients. Get vinyl windows for your home and for the environment. US Home Exteriors is the leading window replacement company in Winston Salem and Greensboro, NC. You can call us at (336) 296-1040 or fill out this contact form to request an estimate.